This was such a sweet read. And really emotional. It was even more emotional for me because aside from the super cute romance, it had an amazing father/daughter relationship. Having lost my father six years ago, it really touched me. 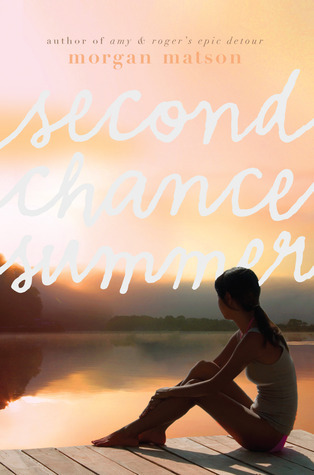 I loved the relationships the book explored and I'm always a fan of summer stories. There's just something about summer that makes me all dreamy-eyed. Yay for discovering Matson Morgan! And another yay for reading contemporary and loving it! I loved Morgan's debut, Amy and Roger's Epic Detour and ever since have been a fan. Second Chance Summer was one of my most anticipated 2012 releases and I ended up loving it too. Not to mention, it completely broke my heart. I can't wait to see what Morgan writes next, she sure is amazing author.